MDOT safety projects are part of a larger effort to help move the state along the path Toward Zero Deaths (TZD). Since 2010, MDOT has been collaborating with partners statewide on the TZD safety campaign based on the national strategy on highway safety. 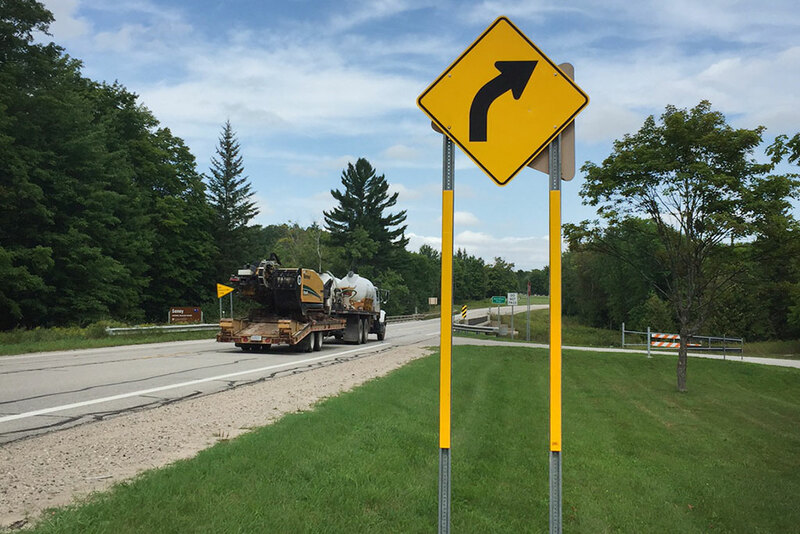 Since then, several new practices have been implemented statewide to increase safety awareness, including posting year-to-date fatality totals in MDOT offices and on roadside dynamic message signs. These efforts are raising awareness of traffic safety challenges in Michigan. Beyond the statewide education and awareness campaign, MDOT is taking concrete steps to address the major causes of deadly traffic crashes here in the U.P., which makes up all of MDOT’s Superior Region. Junttila noted there are many factors that can lead to a lane departure crash, including impaired driving, driver distraction or inattention, adverse road weather conditions, poor pavement friction, vehicle tire wear, driver inexperience, and many others. Clearing trees and brush on the insides of curves to improve sight distance. MDOT regional staff are currently working around the peninsula to address locations known for a high frequency of lane departure crashes. The improvements are taking place across the state trunkline system, since these types of crashes occur on roads with many different characteristics. Some of the work now under way includes installing reflective strips on warning sign and stop sign posts in order to make them more visible, replacing old or faded signs, and using high-visibility pavement markings in construction zones. These safety fixes are all designed to help keep motorists on the roadway. Rumble strips have already been widely installed to help prevent lane departures. All two-lane, two-way rural MDOT roads now have centerline rumble strips. 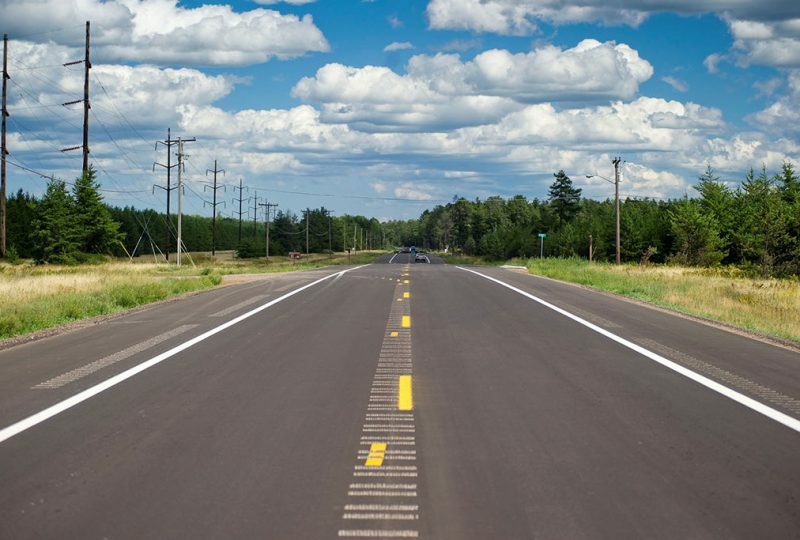 A recent study by the Wayne State University (WSU) Transportation Research Group found a 47 percent reduction in total crashes and a 51 percent reduction in fatal crashes as a result of adding rumble strips. One major bridge project set for construction next year will feature a safety measure new to the Superior Region – the US-2 bridge over the Escanaba River will be equipped with a bridge deck warning system. The system uses sensors in the bridge deck to activate warning signs with flashers alerting motorists when conditions could cause freezing on the deck.Another road reconstruction project set for next year on M-553 in Marquette County will include several safety features, including improved roadway alignment, posts with reflectors to delineate the roadside in low-visibility conditions, and replacement of warning signs with high-visibility signs and posts. In addition to engineering efforts, MDOT has been working to educate some of the region’s most at-risk citizens on safety issues. Ben Feldhausen, traffic and safety engineer with MDOT’s Crystal Falls Transportation Service Center, has completed a distracted driver presentation to give to driver’s education students. He also participated in an annual bicycle/pedestrian safety event at Forest Park Schools. Future plans include expanding this focus on pedestrian and bicyclist safety. The statewide TZD safety campaign is based on the national strategy on highway safety intended to influence driver behavior and improve safety. With more than 35,000 fatalities occurring on U.S. highways each year, roadway safety remains one of the most challenging issues facing Michigan and the nation. There were 7.2 percent more fatalities on the nation’s roadways in 2015 than in 2014, according to statistics from the National Highway Transportation Safety Administration (NHTSA). Regionally, that upward trend seems to be continuing: as of the end of August, there were 28 traffic fatalities in the U.P., compared to 16 at the same time in 2015. According to NHTSA, job growth and low fuel prices were two factors spurring increased driving. More driving can contribute to higher fatality rates. In 2015, vehicle miles traveled nationwide increased by 3.5 percent over 2014, the largest jump in nearly 25 years. To learn more about the national strategy, go to www.towardzerodeaths.org. For more information on the state campaign, visit MDOT’s website at www.michigan.gov/zerodeaths. Share the post "MDOT launching projects to reduce deaths on U.P. roads"
Categories: Featured, Roads, and Upper Peninsula.